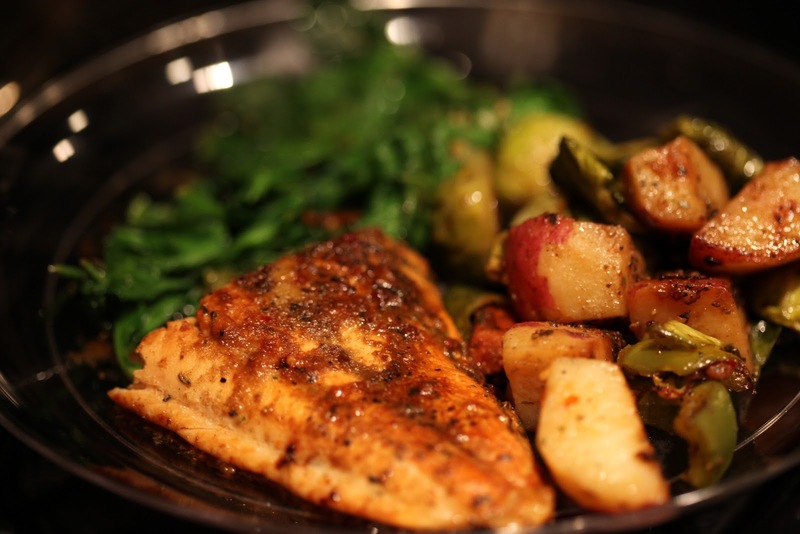 Arctic Char with Spinach and Veggies. 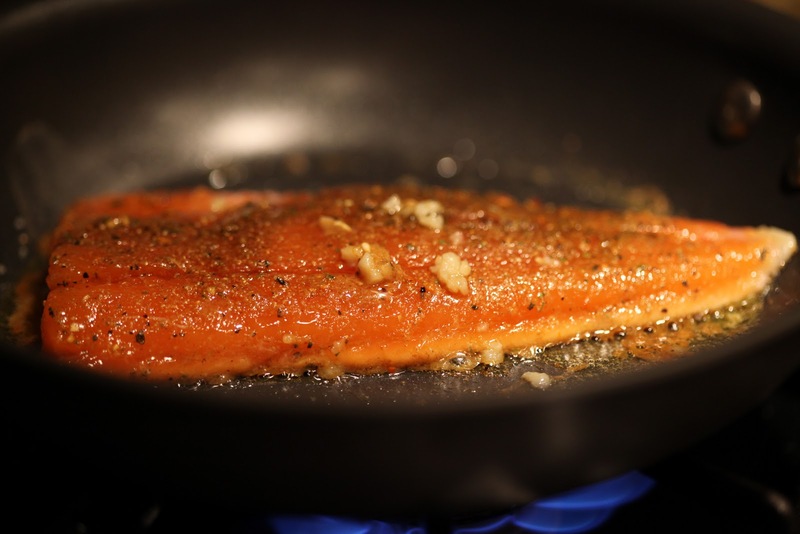 Now that I live in Vancouver, in addition to regular salmon, I have the option of arctic char which is a salmon variety that is from the arctic waters. Looks about the same but perhaps a bit more muted orange than saturated red. I marinated it in a bag for a couple hours with some teriyaki sauce and various spices including coriander, cumin, Thai spice mix, Cavenders, and garlic salt. I cooked it in a pan with a little olive oil and minced garlic. Then I heated up my veggie mix from last night — brussel sprouts, carrots, peppers, and potatoes. After that, I cooked up some spinach just enough to get it wilted. I put just a touch of vegetable seasoning on the spinach as it was cooking and let it steam under a cover. 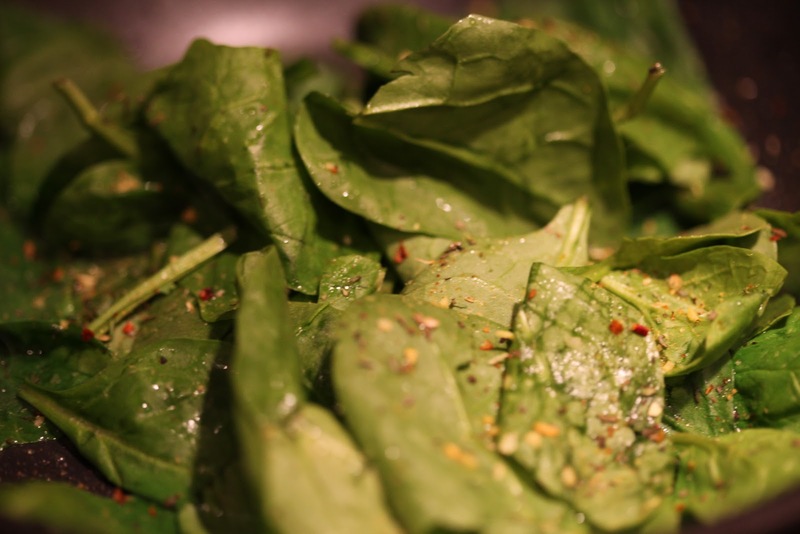 I prefer the spinach in a bag over the organic bunches of spinach that I spend way too much money on and spend way too much time cleaning and end up wasting way too much of that’s not edible. In less than 15 minutes, I was able to put together a perfectly balanced meal with protein, vegetables, and a little bit of carbs. Tasty and healthy, and just enough to keep me satisfied. In fact, I still have half the arctic char and plenty of veggies leftover for tomorrow night, and can cook up some more spinach in no time. ← Brussel sprouts, potatoes, carrots, and peppers.